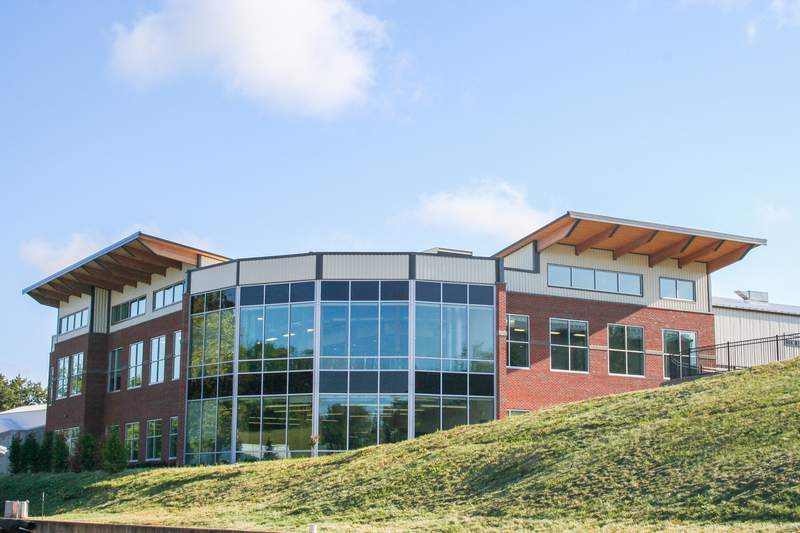 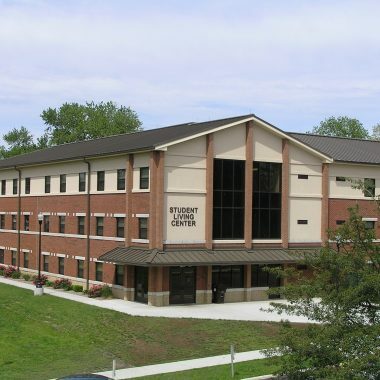 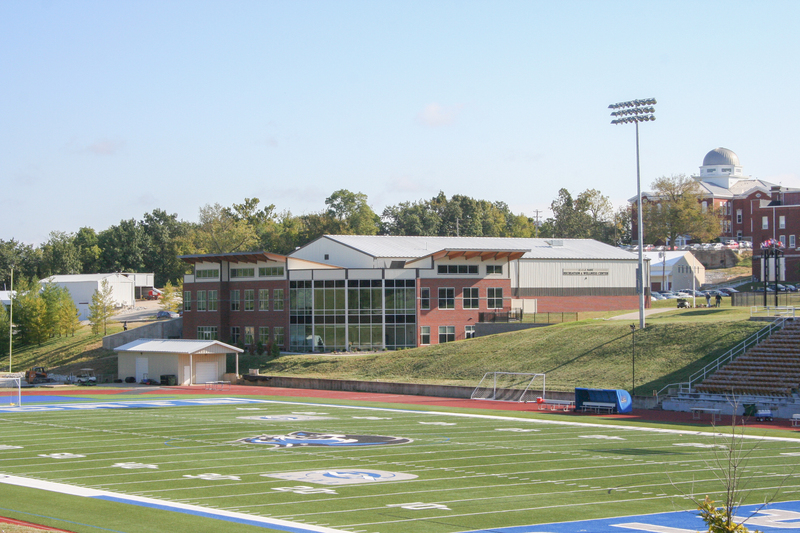 A project that began as a student initiative at Culver-Stockton College in Canton, Missouri grew into a fully equipped Student Recreation and Wellness Center to serve the campus students, staff, and entire community. 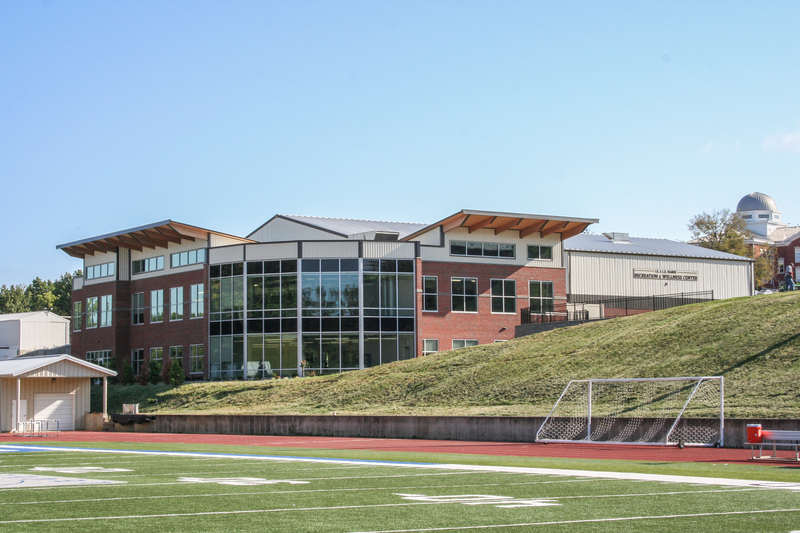 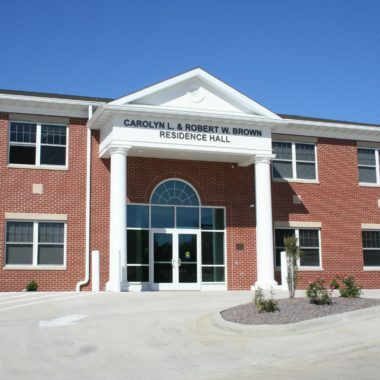 The 4 million dollar, 26,000 square foot facility is strategically located in the center of campus sited as a “back-drop” Ellison-Poulton football stadium, and adjacent to the school’s field house and softball field. 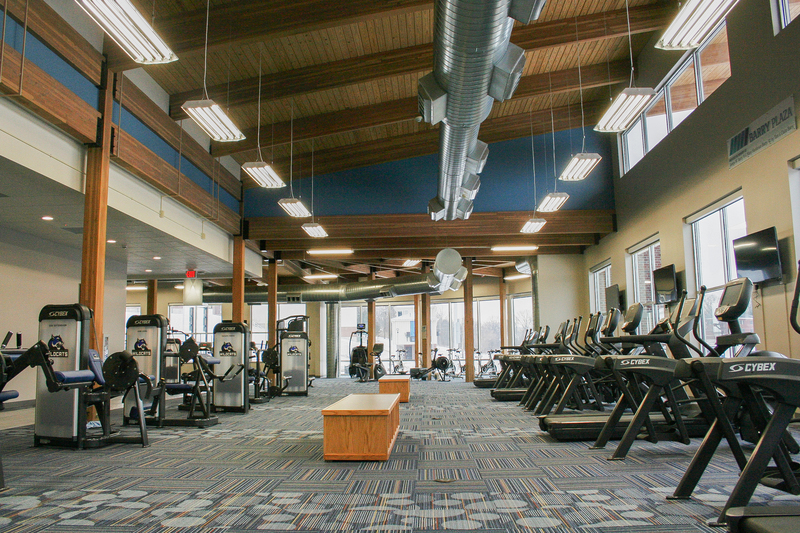 An original temporary gymnasium facility, which housed volleyball and tennis, was incorporated into the new design. 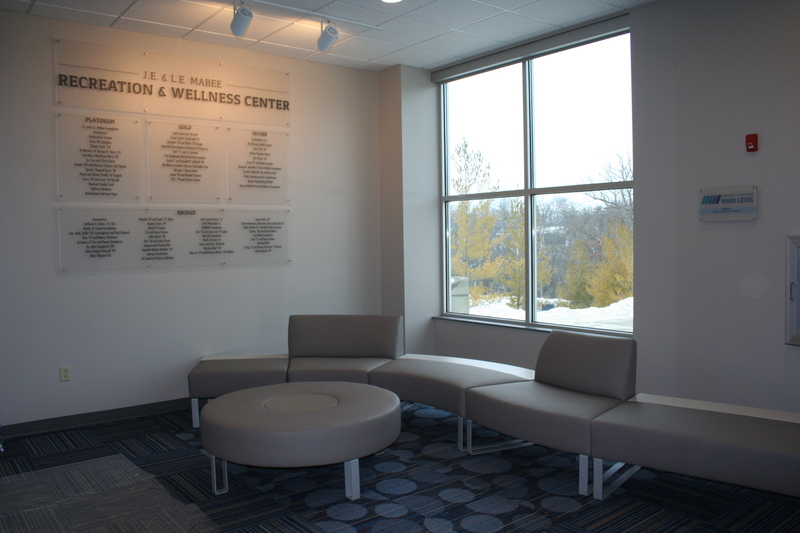 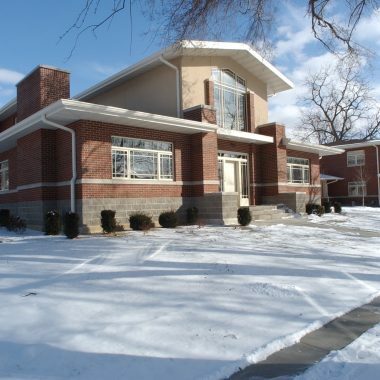 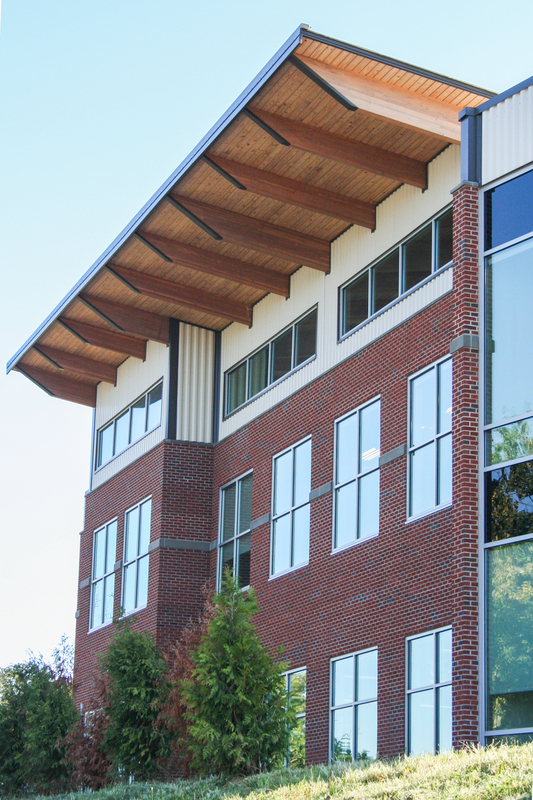 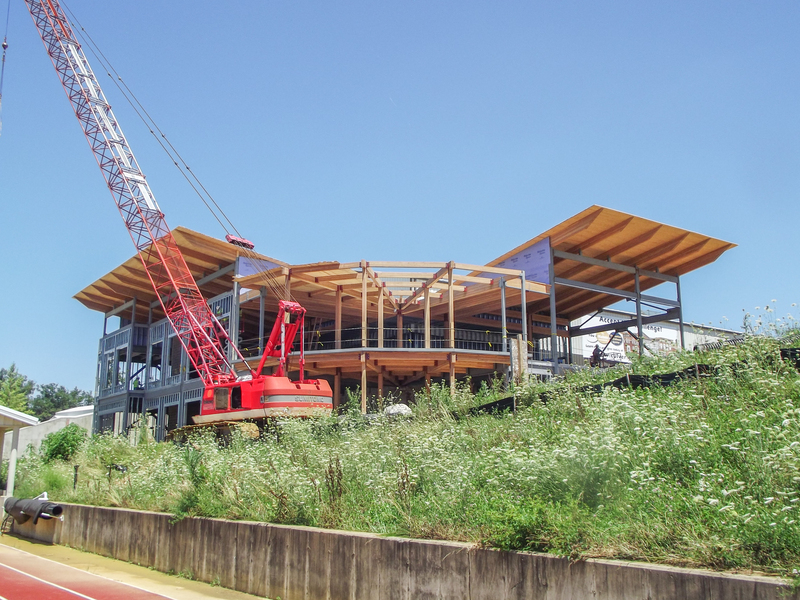 Additions on the south and west sides provide a “facelift” for the original building, includes large spaces for exercise equipment, fitness classes, a reception area, classroom, lounge, and facility offices, etc. 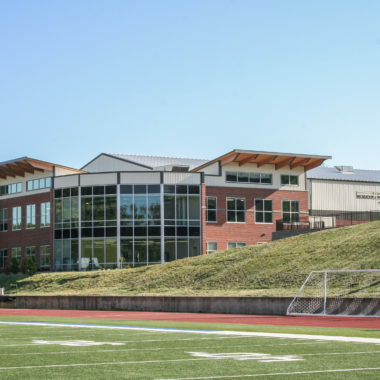 The new building also incorporates a glass curtain-wall that overlooks the stadium, a new multi-purpose sports floor to accommodated tennis, volleyball, basketball, and a mezzanine overlook for dance and aerobics activities. 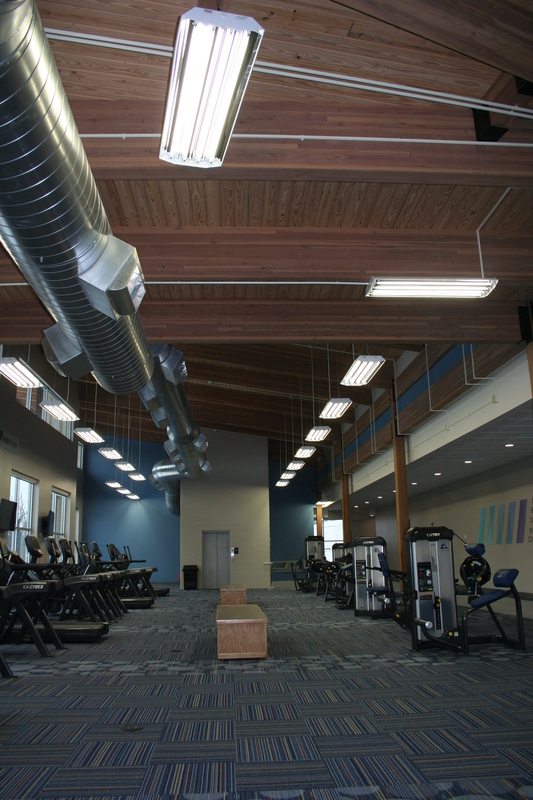 Treadmills, ellipticals, stretching machines, weightlifting machines, and free weights were also planned in the design. 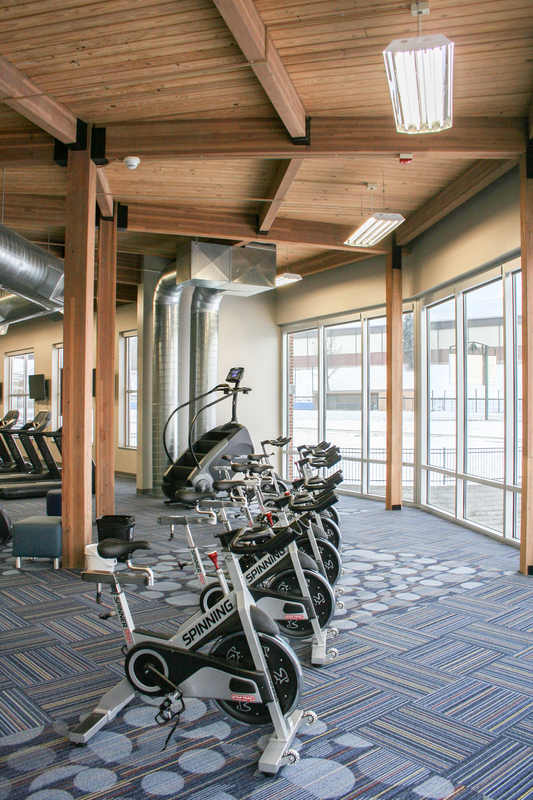 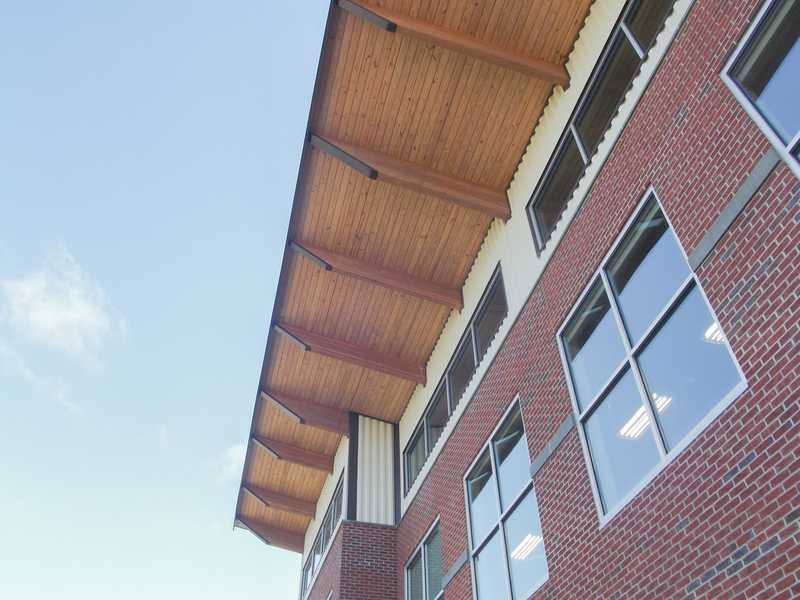 The exercise and workout areas contain large open spaces with exposed engineered wood beams and columns, and exposed natural finish tongue-and- groove wood ceiling, flooded with natural light, and large finish accents of school colors. 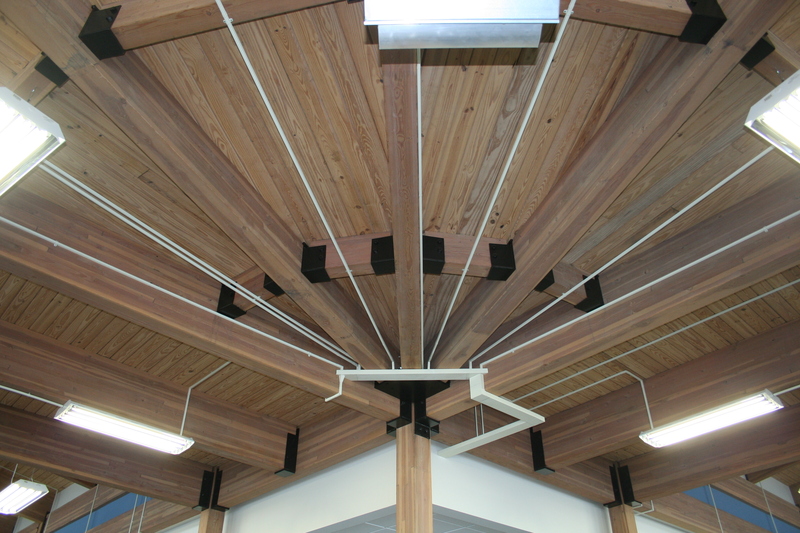 The finishes are very durable and in many cases exposed heavy structural elements. 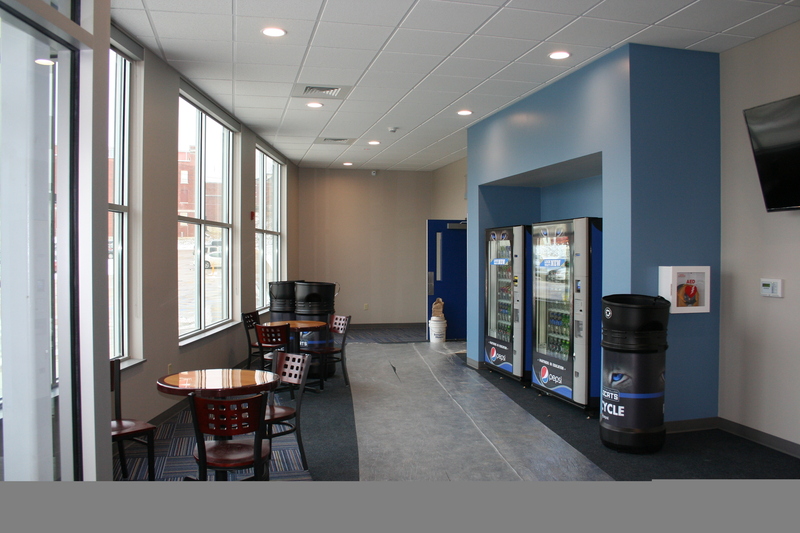 The latest variable refrigerant control HVAC systems are installed for an energy-efficient operation as well as energy efficient lighting.